When the nights get cold it can be all too tempting to toss the black bin out the back door with every intention of carrying it around the corner to your wheelie bin tomorrow. The problem with this is winter is the prime breeding time for rats. They may look cute and playful in the old Disney movies you’ve seen over the years, but when they’re knocking on your door looking for leftovers with their mates you’ll soon grow tired of these furry pests. Let’s take a look at a few quick things you can change up to make sure the hordes don’t descend on your home this winter. 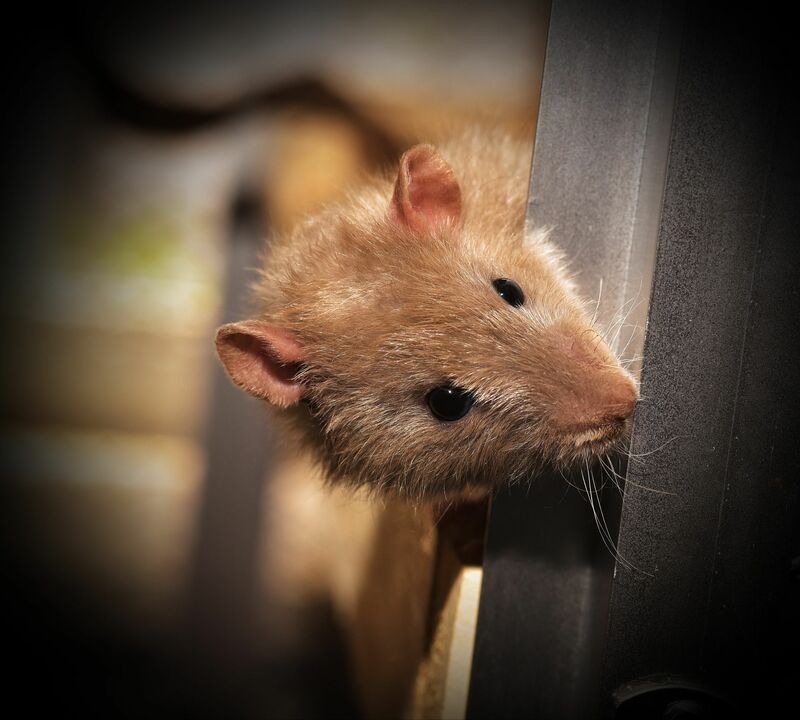 Rats love to hide in places so that they can sneak about and get up to all sorts of mischief — they’ll even chew through electrical cables given half a chance! With that in mind, why not call the experts and get rid of that mountain of junk that’s been piling up in the back garden? Making sure your bins are securely closed each night is one of the simplest yet most effective ways to keep the furry hordes from your door. Use whatever you have to hand if you don’t have a bin with a built-in fastener, the important thing is to get the job done. It doesn’t matter how pretty things look, plus you can always upgrade later. Your cat may be your pride and joy who you love to let out on all manner of adventures, but how about feeding them indoors over the winter period? A bowl of cat food looks delicious to a pack of rats and is a definite magnet when it comes to attracting pests to your garden. Play it safe and give your little feline friend a bowl of the good stuff on the other side of the kitchen door. Rats get easily scared and are always looking for warm safe places to stay dry and stay off a bigger animal’s dinner plate. Move any large objects like sheets of plywood or other building materials well away from your walls, and preferably into the garage or basement. This quickly removes another potential shelter and therefore makes your garden far less appealing to a passing rat than it otherwise might have been! If all of this still results in rats then there must be something you’ve missed, or you have fallen victim to a particularly determined pest who has a real affinity with your garden. In this case you want to start looking closer at your potential trouble spots so that you can strategically place a series of rat traps. Keep them well out of harms way of other animals like the beloved family pooch, and make sure to check regularly that they are still set. Once you get lucky and catch one of the furry critters make sure to safely and promptly dispose of your prized catch. There’s nothing worse than leaving a used trap only for it to become a breeding ground for all manner of other nasties!